One of the most magical experiences of the Christmas Festivities is going to see a production of The Nutcracker. I took my girls for the fist time this year and we waited with bated breath for the dance of the sugarplum fairy. But what has this to do with Christmas really and truly? In the ballet we are welcomed into a family’s preparations for Christmas: Clara is waiting with great expectation for her Godfather, Herr Drosselmeyer to arrive knowing that he will bring unusual gifts and excitement with him. Indeed he doesn’t disappoint, bringing with him magic and toys. His special gift for Clara is a nutcracker fashioned as a handsome soldier, however, in an argument with her brother the nutcracker is broken. Herr Drosselmeyer mends him and lays him to rest on a high shelf. Clara cannot sleep though and at midnight returns to check on her handsome soldier. And then the magic really begins, as the Christmas tree begins to grow, and then the room is over run by mice, a battle ensues and the Nutcracker duels the Mouse King. In a puff of smoke Clara and her handsome prince are transported to the Kingdom of Sweets where they are welcomed by the Sugar Plum Fairy. So we have a God Father who brings an unexpected gift, a Young Girl who receives a Transformational Present, a Dashing Soldier Dressed in Red, a place over run by Animals, a Heavenly Being who dances with joy and an adventure that begins underneath a Christmas tree. This is beginning to sound like another story: God the Father, Presents a Young Girl with a Transformational opportunity. In a land ruled by Roman Soldiers Dressed in Red, she finds herself giving birth in a place reserved for Animals, and Heavenly Bodies sing and dance for joy. And it all begins because of Christ. And that is Christmas in a nutshell. Today is the Fourth Sunday of Advent, the day we light the fourth candle on the Advent Wreath, the candle for Love, the candle for Mary and all mothers; but today is also Christmas Eve, and I feel cheated of time. I am just not ready, I need another week, at least. A few decorations have been used to sparsely decorate the house, the tree is just beginning to warm up after 3 weeks of sitting outside, wrapped in netting. The Christmas cake remains un-iced, and laundry is still scattered around the house. Of course I knew that Christmas was coming, it happens on the same date each year, I have had plenty of warning, 12 months of warning, yet, I had been banking on that last week of Advent to really get ready, those last few days between the fourth Sunday of Advent and Christmas Day. This year there are no ‘last few days’. I wonder if Mary also felt cheated of time? I wonder if she too felt caught unawares? Of course she knew that the baby was due, her size could not have hidden that from her. She had spent time with her elderly cousin in her last trimester, she knew that a baby took 9 months to cook and would then need a safe space in which to be born, and helping hands (of the female variety) to see her through labour. Perhaps the baby was premature? The Bible doesn’t say so or even hint at it, but all that travelling so late in pregnancy could well have moved things on – especially if she really had been travelling by donkey (although the Bible doesn’t mention a donkey either). Each year I have great plans for family festivities and slowly dressing the house over the course of Advent. I dream up great new bakes, imagine hand festooned garlands and beautifully wrapped gifts. Scented candles, Christmas jim jams and matching bedding. The reality is so much….less. The birds for the boxing day game pie are still hanging in the out-shed and the venison frozen. Husband has had shop-made mince pies delivered – the shame! I imagine Mary would have envisioned a home birth, her mother and sisters at hand to guide her through the labour pains, to reassure and comfort her. I imagine Joseph would have been free from any maternity duties, except naming his son and heir. Instead, Mary and Joseph were caught short, in a strange town, although home to ancestors. No bed for Mary, no sitting stool to labour, no familiar faces or helping hands, and no safe space for Joseph. This Christmas will not be the pinterest-perfect showpiece I had imagined, but that doesn’t matter. The few gifts I managed to order are stuck at the depot, the lights I had strung have blown, nothing has been festooned. I doubt if there will even be peace on earth, especially when Monopoly comes out. But God will be with us. And that is what will make Christmas perfect, if I can stop for long enough to stop panicking about the Turkey. It’s time to prepare the Christmas Boxes as thank yous for all those who help to make life a little more joyful, beginning with my daughter’s dance teacher. Earlier this year we had a family outing to the ballet to see The Nutcracker, and so some Nutcracker inspired cookies seemed to be perfect. I adapted a recipe from Mima Sinclair’s Gingerbread Wonderland by making my own molasses by simmering a handful of prunes in some apple juice and then blended into a paste, and instead of lemon juice in the icing I used orange juice. There’s nothing particularly Biblical or true to the Christmas stories about these cookies, other than the fact that I had to use an angel cutter as I don’t (yet) possess a ballerina or fairy cutter. However, the Nativity story is full of a sense of ‘What If?’..
.. What if Mary had said no? What if Joseph had deserted her? 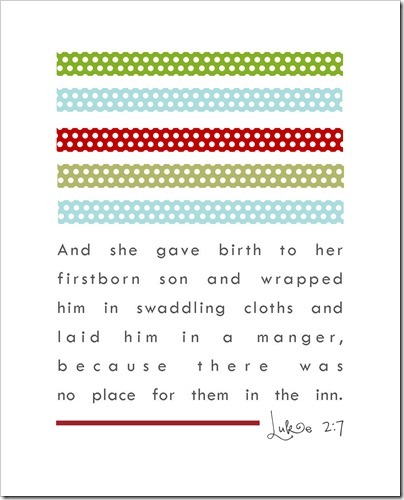 What if there hadn’t even been a manger for the baby to be laid? What if the Angels had lost their voices and hadn’t been able to sing? What if the Shepherds were too scared to leave their sheep? What if the Magi hadn’t been adventurous enough to follow a star? What if the Christmas story is true? What if Jesus really is God? It is also full of thankfulness and joy, and so these cookies are baked with joy and given with thanks to an extraordinary dance teacher. Melt the molasses, sugar, butter and spices over a medium heat until sugar has dissolved. Bring to boiling point then remove from heat. Add the bicarb and watch the magic as everything bubbles up. Have a cuppa whilst the mixture cools for 15 mins. Sift the flour and fold into the mixture a spoonful at a time. Beat in the egg using a wooden spoon – but be careful not to overwork the mixture otherwise the biscuits will lose their shape. Knead lightly until everything is combined. Wrap in cling film and leave in the fridge for an hour to firm up. Set the oven to 160c /Gas 3. Take a chunk of dough and roll it out, then cut angel/ballerina/fairy shapes and place onto a buttered tray. Place tray in fridge for 5 minutes to prevent the shape running whilst cooking. Once golden remove from the oven and rest still on the tray for 5 minutes before removing to a cooling rack. Repeat until dough has been used up – this is rather a large batch of dough so you can cut other shapes too depending n who you wish to thank. I decided to decorate my fairies using a line and flood technique, outlining he shapes with white Royal Icing, then adding some more water and food colouring to create the ‘plum’ effect to flood the outlines. Finally they were dusted with edible glitter, placed gently in a box and sealed with a bow. I remember Carols by Candlelight at the church I grew up in. The church, similar in size to St Leonard’s in Grateley, would be decked out in greenery and candles at every possible ledge or shelf, and special wooden poles would be fixed into each and every pew so that candles could be attached. No electric lighting was required, except perhaps for the organist. I have to confess to being somewhat disappionted when after a very warm and atmospheric beginning to our carols services, with only the candles lit as the soloist sings the opening to Once in Royal David’s City, the church is flooded once more with electric light, because no one can see other wise. I guess we have all become so accustomed to the power of electricity that our eyes can no longer focus unaided by a light bulb. I am sure if we really tried hard enough we could sing the carols from memory, couldn’t we? The thing is, when we shut out the darkness, the half light, we forget our need for the true light. We shut ourselves away from the darkness, switch on our lamps and lightbulbs, click onto our electronic back lit devices and are blinded by the wealth and power surrounding us, to our need for a light that is true. Even our streets are illuminated. In the beginning all was dark, all was chaos and blindness, until ‘Very light of Very light’ spoke and created light. There was still night and day, still a time for work and for rest, but the light brightened everything. Today, despite the light that we have created being so light, we find it hard to find the hope,the peace, the joy, the love with which that first light shone. brings light to the darkest of places, revealing children hidden from the world and guiding them home. The charity is called Lumos, light. The Light of the World which our candlelight services end with, is the light that seeks to find children lost in the dark and lead them home: God’s children who have gone stray, who have roamed, who have rebelled, who have been left behind, are all precious to God. So precious that he sent his Son into the brokenness and bleakness and darkness once more to guide them, guide us home. This Christmas as we switch on our own Christmas lights, perhaps we can create a central focus in our homes for our own Nativity, allow it to be the brightest light amidst all the decorations, perhaps even turn off the lights and let the light of Christ shine in our hearts calling us home to be with Him once more. This week’s Gospel reading doesn’t come from Mark, it comes from John, but is an echo of last week’s passage. Both readings focus in on John the Baptist, but with different results. If we follow the themes of the Advent candles, this week brings us Joy. It is Gaudate Sunday, a day of rejoicing and for those who like to fast during Advent, a time to relax those limitations – so go on, have a mince pie and rejoice. We are coming closer to Christmas, we are half way through Advent and the huge celebration, the Feast is close to hand. It is also the Sunday set aside to remember John, not to be confused with last week when we remembered all the prophets including John. So what is different between these two passages, why are we set practically the same reading two weeks in a row? Is it merely to stretch preachers’ abilities and creativity at a time when sermons and addresses are already at a premium with all the additional services; or does this same passage have something different to tell us, something equally important and needing more time to understand? Last week Mark described John: what he wore, where he lived, what he ate, what he spoke and did. This week is about NOT John. This week is about what John is not. John is NOT the Messiah. John is not the one that everybody has been waiting for, except in the sense that a prophet would come to point the way, to shine the light on the one to come, the one who is coming, now. I imagine those huge spotlights used for film premiers. John is not the one on the carpet, not the one the paparazzi are calling to, John is not the headliner, the director, the producer or even the co-star or supporting cast of thousands, he is the one behind the spotlight, the one training it on Jesus. However, there is nothing glitzy or glamorous going on here. We discovered last week that the location for this moment is not a red carpet and VIP suites, but a wilderness, a barren land, and a river, set apart from civilisation. This week, the Gospel writer takes us back to the very beginning of creation, when there was nothing civil,only chaos, and into that chaos, God spoke, and the word that was heard came into being, and the word was ‘light’. and there was light, because the word spoken was a reflection of the being who spoke it, and that being was Jesus himself. God spoke creation into being and now God has come to be among his people, his created beings. And John is here to deflect the attention from himself, to direct it to the one who brings true light, not just glitter and sparkle which will tarnish in time, but light which will bring all that is good to life, just as had happened at the beginning of the world. Light that will bring with it joy and celebration and a new way of seeing and understanding the chaos that is all around. As we follow John’s direction and look where he is pointing our attention, we will realise that John isn’t shining a spotlight on Jesus after all. That light, that glow that surrounds the man whose baptism by John was sealed with the presence of the Holy Spirit and the blessing of God the Father, emanates from himself. John isn’t ‘bigging him up’, he is taking note, legal records, standing as witness to the very presence of the Light of the World, the King of Creation, the Messiah, the Son of God, with us, here and now. And that is something worth rejoicing over. Light 3 candles. Read aloud the passage from Mark 1: 1-8. and the passage from John 1:6-8 Take some time to sit quietly with the readings. What differences jump out at you, what similarities? What images are created in your head? What associated words come to mind? What feelings and emotions are created within you? What music can you hear? If you feel comfortable, share these with others. Have you ever visited a place for their display of lights, or been present at the switching on of the Christmas Lights? What drew you? Why do you think John was so eager to deflect light and attention from himself? Why do you think we are set passages on John two weeks in a row to consider? What do we gain in our understanding of Jesus from this week’s reading which wasn’t apparent last week? If you had to choose just one reading which would it be, and why? How can we, like John, deflect the attention to Jesus? How can we ‘testify to the light’? We continue our celebration of Advent. We light the candles on the wreath and we are reminded of the great gift that is ours in Jesus Christ. As we light the candles we will rejoice that Christ has come to us. He is Immanuel…God with us. Read Mark and Inwardly Digest: Are you Ready for Christmas? I asked this question this morning at a gathering, ‘Are you ready for Christmas?’ There were sincere shaking of heads, and I could feel the palpable weight of ‘things to be done’ before the festivities could begin. Even good, faithful Christians get bogged down with the expectations of turkey and all the trimmings. I think we are asking the wrong question, and the passage from Mark’s gospel today helps us to realign ourselves with the right one: Are you ready for Christ? Advent is not simply the countdown to Christmas, although our Advent calendars would suggest that it is. Advent is about the expectation of God coming to be present with us. Nowadays, that coming of Jesus, is often the retelling of the Christmas Nativity, whether it be told by infants wearing dressing gowns and tea towels or bedecked in tinsel, or by 9 lessons and carols read and sung by candlelight. Both are part of our traditions, but do they really engage in us the sense of hope and expectation that builds our faith? Do they help us look forward with God, or to review history? The retelling of John’s role as prophet and baptiser reminds us to keep looking forward. It is also, quite helpfully for our year of engaging with Mark, the opening verses of his gospel. If you have been following Mark, Read and Inwardly Digest on Facebook and twitter courtesy of the Walloping Vicar, you will have had chance to mull over these 8 verses already. Mark doesn’t give us any account of Jesus’ nativity (which is why he will go silent on the lectionary readings over the next few weeks) or childhood, he doesn’t even give us any sense of his ancestry. Mark jumps in with ‘the good news’, or Gospel if you like to read New Testament Greek, that God is with us here and now. What we do get, though, is a reminder of the promises of the prophets of long ago. John isn’t Elijah whose return had been expected ahead of Emmanuel’s, but one who looks and dresses like Elijah – an Elijah looky-likey if you like! A prophet who looks, acts and speaks like one of the greatest all-time prophets has come, and he is pointing the way for one greater than him! All the connections are being made, and the people of Israel are excited and responding to John’s call to be prepared. The wilderness is no longer the empty place it once was, it has been swamped with expectant people hearing the call to repentance and diving headlong into hope. John’s call isn’t to sweep clean your homes, but to disinfect your hearts. Yes, God is coming in person, and will need a place to rest his head, to eat and sleep, but Jesus is looking to make his home in hearts made ready to be filled with his love. That is the message of the dessert, but it is also the message of Advent too. Prepare ye the way: hang your tinsel and light up your house if you so desire, but be sure to make ready your hearts and souls, because that is where the baby Jesus longs to be born this Christmas. This Sunday we light the second candle on the Advent Wreath, it is the candle of Peace. If we are willing to offer up our customs and traditions and the tearing around overcrowded shopping centres and Black Friday websites, we may find time to be still. We may find time to re-engage with that sense of expectation we had when we were children and felt no responsibilities for stuffing turkeys or stockings or over boiling sprouts and dry roasting parsnips. Perhaps if we rediscover the longing and hope for God’s presence with us, we may also find our seasonal woes and stresses lifted, and Emmanuel’s peace descend. Light 2 candles. Read aloud the passage from Mark 1: 1-8. Take some time to sit quietly with the reading. What images are created in your head? What associated words come to mind? What feelings and emotions are created within you? What music can you hear? If you feel comfortable, share these with others. What is your least favourite ‘preparation’ for Christmas celebrations? Which is your most favourite? Are there things that you feel obliged to do in order to celebrate Christmas ‘properly’? How do you hear John’s words to ‘Prepare the way’? What could they mean to us as we embrace Advent? Mark is the first to refer to the ‘Gospel’ of Jesus, thus coining the term ‘The Gospel according to…’ what Good News can we see in the portion appointed for today? Is this news good for society today, or just for that part of history. How does it differ? What do you think of this quote from Lamar Williamson Jr? Do you agree with him? In no Gospel is the humanity of Jesus more transparent, nor his divine authority more striking. Can this be seen in today’s passage? Can it be found in our understanding of Advent? What would it mean to receive an Advent baptism – what would you want to be cleansed of? What would you want to repent with regards to Christmas? How can we release ourselves from ‘Christmas’ in order to experience the Peace of Christ? He is Emmanuel…God with us. Jesus, help us to light candles of Peace in our own hearts. Help us to prepare a way for you to come and live within our hearts and homes. Rekindle that sense of hope and expectation, as we await your return. John the baptist appears twice during advent. This week he features among the prophets and next week he has his own show. John was known for many things, most obviously that he baptised people in preparation of meeting with God, and even Jesus himself, the Son of God. John was also known for his zany dress sense (camel hair) and bush tucker diet. I felt that in order to get into the advent vibe, a bake was needed, and my daughter’s big baking book came up trumps with these honey and spice cakes. The recipe doesn’t include locusts, but as I don’t have any in the pantry, I’m not too worried. The almond on top will give enough of a suggestive crunch I am sure, and if not, well I have just discovered an online source for edible locusts and they even come dipped in chocolate, so maybe I will have a second try next week – or maybe not! Melt butter, sugar and honey in a saucepan on a medium heat. Sift the flour and spice into the pan and mix into a smooth batter. Spoon into cupcake cases and top with an almond. Read Mark and Inwardly Digest: Advent Sunday, Where is God? God’s people are promised that God will return, that he will come and that ‘Elijah’ will prepare the way. They are also promised that families will be reunited, and that God will bring with him blessings. Such a hopeful way to end a lifetime of prophecy, such a hopeful way to leave the Israelites hanging. But left hanging they were. There are several hundred years between the two Testaments, between the promises spoken by the prophet Malachi and anything actually happening – well, nothing if you ignore the Maccabean Rebellion that is, but that’s a story for another day. For those who had heard and believed and trusted in the hope given by Malachi, the years, decades, generations that passed without fulfilment of the prophecy led many to believe that God is nowhere. When we switch on our news, whether it be the World Service, Sky News, or Social Media, it can seem as if God is nowhere. The world is full of pain and suffering and idiotic and incompetent rulers of the free world. This world is broken, stressed to the point of collapse, we are imploding upon ourselves and no-one, earthly of otherwise seems to care. However if you saw God is Now Here you are in Christmas. Just like the rest of society which decorates their tree before December even begins, completes shopping in January, starts eating mince pies and playing Christmas songs as soon as Halloween is over, you are ahead of the game! Mark continues to speak of the ‘Elijah’ promised by Malachi, who would come before God himself. The prophet is already here, preparing the way, because Jesus Christ, the Son of God is here, and this is Good News. This is the hope that we have all been waiting for since Malachi made those promises. Jesus is here, God is here, among us, reuniting families and drawing God close to his people once more. But wait. Today is Advent Sunday, not Christmas Day, and not any of the long turgid days of brokenness and forgotten hope. Today is the day we commence our waiting with expectation. Today is the day that we start to prepare our hearts and homes to welcome the most wonderful guest. Today is the day that we rekindle the hope that may have been damaged and dented in what has been a difficult and troubled year. But about that day or hour no one knows, neither the angels in heaven, nor the Son, but only the Father. The angels do not sing in heavenly choirs, they are sent to gather up the faithful, when the end of this world comes, and the new creation is brought into place. The reality is, we have all moved on from Advent and from Christmas. Yes we re-visit them each year, and remember the stories, but just like those pre-advent Israelites, we have lost some of the wonder, we have lost the hope. Mark’s passage today reminds us of the promise that Jesus is coming. It has been a long time. So much longer than the Israelites had to wait between Malachi’s promise and Jesus’ birth, 2 Millennia have passed and who knows how many more – not the angels that’s for sure – but the promise is just as true as the first. If the promise is just as true, just as trustworthy, then we have something sure to place our hope in. Today we light the first candle on the Advent wreath – the candle of hope. Let us bring before God all that has diminished our hope, all that has left us feeling spiritually battered and bruised, all that has left us thinking that God is nowhere, so that we can rekindle in our hearts the hope of the promise that Jesus will return. Light a single candle. Read aloud the passage from Mark 13: 24-end. Take some time to sit quietly with the preadinng. What images are created in your head? What associated words come to mind? What feelings and emotions are created within you? What music can you hear? If you feel comfortable, share these with others. What do you first see – God is nowhere or God is now here? What has advent come to mean to you? Is this time about the waiting and hoping of Advent or the preparing for Christmas? What rituals and traditions do you have in place in your home? Are any of these ‘spiritual’? What do you think of this quote from Tom Wright? Do you agree with him? The symbolism of darkness awaiting dawn makes sense in a post-modern world where Christmas razzmatazz has been debunked, demythologised and deconstructed. Hope in the night is what we want and need. Verses 24-27 speak of ‘end times’ – do you find these encouraging, exciting or fearful words? Why do you think nobody knows the date except the Father? What is to be gained in not knowing? How can we ‘keep awake’? How can we keep our hope alive? In this first week of Advent, we light the candle of hope. Hope is our assurance that God will finish all He has started. Hope is our confidence that he will do all he has promised.